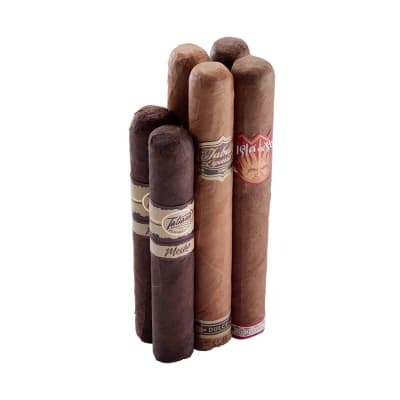 If your looking to try the coffee infused cigars but not quite sure what to get, Is a great starting sampler. Del sol- a perfect ‘dessert’ cigar. A little too sweet from my palette but it’s still a quality smoke. With All Drew Estates cigars Draw, consistency, appearance and construction will never be an issue. The taste on this bad boy is 4/5 for me just a tad too Aunt May for me sweet Nub Cappuccino - when you need a quick fix cigar the nub is a great choice. The draw is great. The taste of the cigar before even lit is delicious. The smoke is great as well. The only draw back to this cigar is I didn’t really get the coffee notes. The sweetness almost over powers the other subtle notes in the stick much like the Del Sol . Construction, appearance and burn are still quality. 3.8/4 for me. Now the Java Mint. 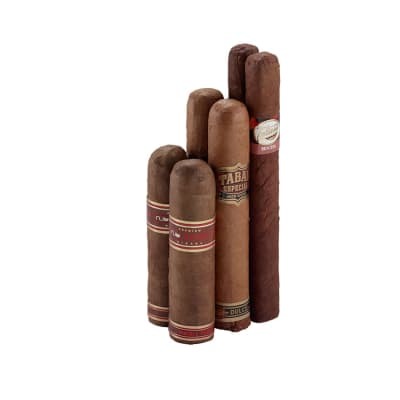 Let me just say the Java and the Java Red are two of my FAVORITE cigars at this time. So I was pumped to smoke the Mint weeeelllllll I shouldn’t had been. I was asking a friend of mine just the other day “ Bra! 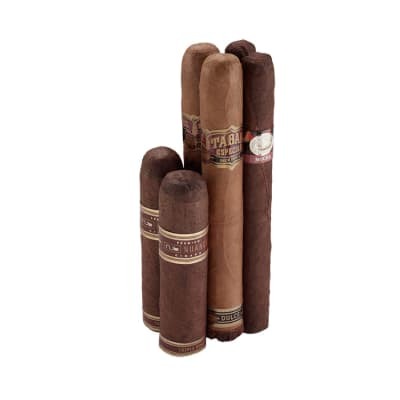 Does Drew Estates make a bad cigar? 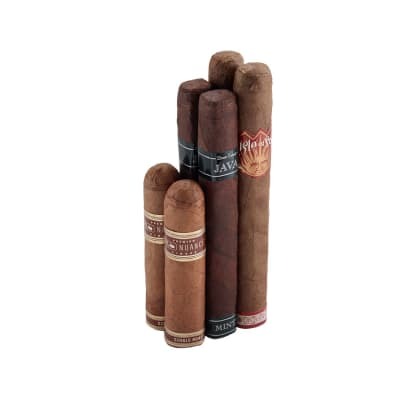 !” The Mint isn’t a “Bad” cigar, but it sure isn’t in my taste palette. The Mint was just too overpowering for me. I’m a huge fan of mint and mint chocolate but in my cigar I found out too much of a good thing could be bad. 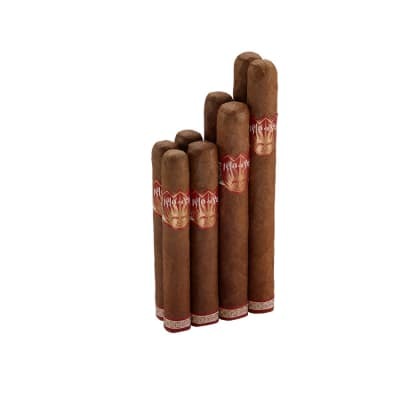 The cigar is very aromatic though so if smoking it in a crowd, people will want to know what it is. Draw and construction is always top notch in a Dree Estaes stogie though so no worries there. It’s just not my cup of Java mint . See what I did there?! I give it a 3/5. But you won’t know if you like it till you try it! For this price it’s a great deal guys. Smoke em if you got em! Peace! I’m very happy with this combo! I really only brought it for the Javas, the NUB is fantastic...the Isla is OK...the ash aka the burnt wrapper...is flimsy and has dropped in my food, on the table, on the floor...I give those sticks to Non-Cigar smokers to snore at their homes.